Top 10 Tastemaker Tervis Tumbler Beverage Recipes - Tervis tumblers are amazing. The double-walled insulation provides for steamers to stay hot and chillers cold. Tervis tumblers have been proudly made in America since 1946. Invented and perfected by Detroit engineers Frank Cotter and G. Howlett Davis, according to Tervis.com, “The Donelly family purchased the Tervis product rights in the 1950s and incorporated the Tervis Tumbler Company in 1967. To this day, all Tervis products are proudly made in North Venice, Florida, where over 600 people are employed through this family-owned-and-operated business.” Better still, living in SW Florida makes Tervis an awesome local product for this featured publisher, woo hoo! In addition, the tumblers are microwave*, freezer, and dishwasher safe, perfect for travel and of course customizable! *Certain designs are not microwavable. Now that you know a bit about the Tervis Tumblers and why I proclaim them awesome, on to the Top 10 FoodBuzz Tastemakers Beverage recipe selections! 10. Big n Fruity Bomb Adult Beverage – That’s mine! I’m not much of an 'adult beverage' drinker these days however when I do indulge, my adult beverage of choice is a Jager Bomb of sorts. The college kids drink them like this! 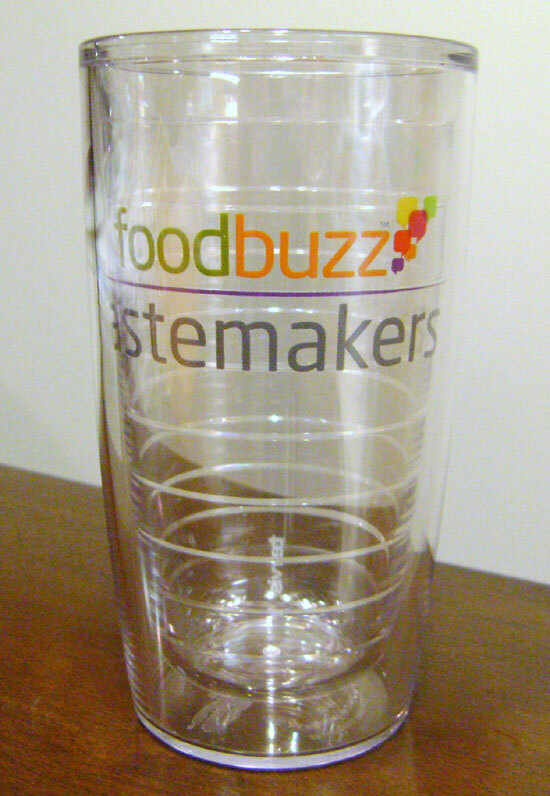 Many thanks to FoodBuzz and Tervis for proving the awesome tumbler and a fun opportunity! !